100% Cotton, lint free. Brand awareness doesn’t get more visceral than with this. 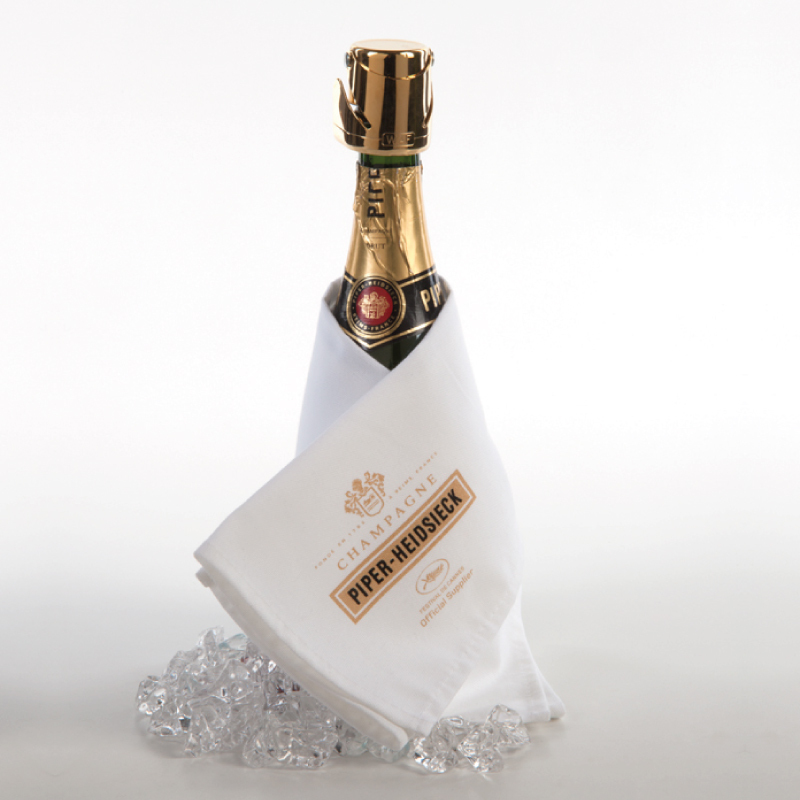 Our chic new champagne napkins, reproduce your logo and message in full vibrant colour on a clean, crisp white linen background – the best medium for maximum image impact at the bar top or table. The napkin absorbs condensation and drips, hiding any bottle or label blemishes. Enhances the Sommelier’s art and presentation skills. Napkins are tailored to wrap around standard and magnum bottles.